I picked this foundation up mainly because I recently broke my Lancome Teint Idole and because I had heard so many rave reviews about this product. It's supposed to be a 15 hour foundation that is heat and humidity resistant. With this humidity, I am sooo excited to try this and will definitely report back soon. I'm going to wear it everyday, just so I can make sure it does what it says. I would say that You tube made me buy this because so many of my faves were singing the praises of this concealer. 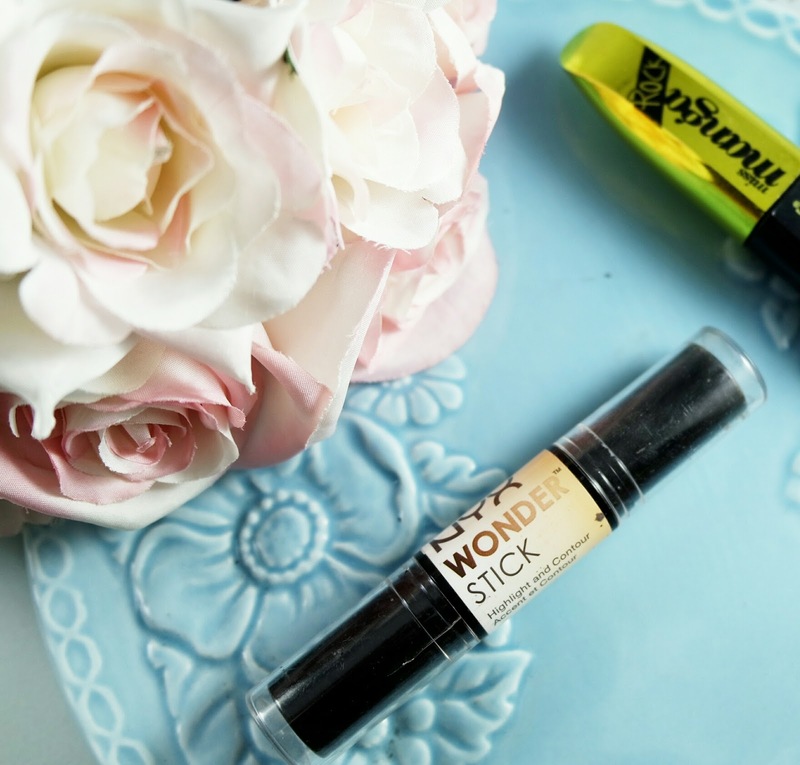 When I first heard about it online my first thought was " Another holy grail concealer... I'll Pass", but then I went to Ulta. As soon as I swatched this, I understood why people were singing its praises. With light swipe, I was able to get full coverage and it blended out really nicely. I have worn it a few times and I like it, but I will definitely give an update on this. This was a total impulse purchase. I passed by the display at Dillard's and decided to swatch and after the sales lady tried it on me with a brush, I could not resist. OMG, why didn't you guys tell me Bobbi Brown Highlighters were EVERYTHING. This is glowy without being glitter. The finger swatches do it no justice. It doesn't look that pigmented, but it is absolutely perfect on my skin. This ended up coming home with me because I wanted to get it during the Holidays and ended up passing. So when Nordstrom Rack had it $17 bucks, it was a no brainer. 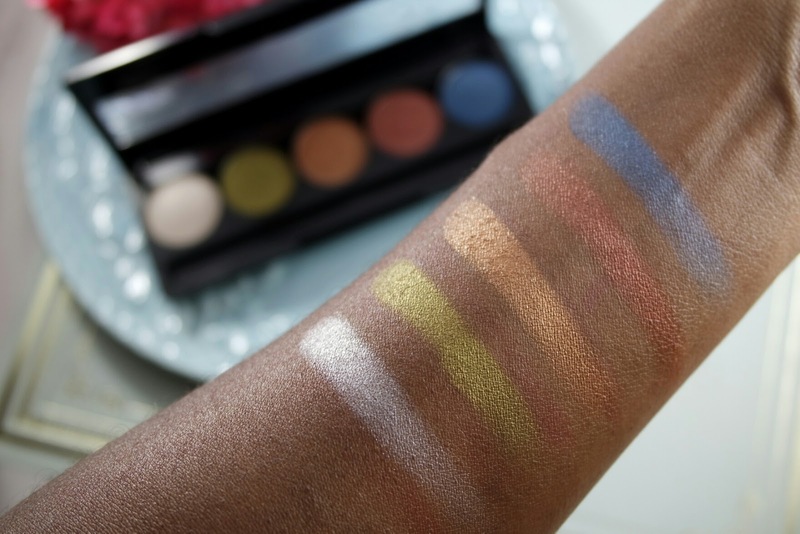 I also love that this palette is inspired by love letters. Romantic themed things really get to me and the packaging is gorgeous. There are 15 shades split up into three combinations as well as big mirror. I swatched these without primer below, but to be honest it wasn't that impressive. I won't get too judgy until I actually try this out on my eye and with primer. It's a pretty neutral palette overall, so I hope this doesn't disappoint. This will probably become a travel palette or a new addition to my on the go makeup bag, because the shade selection is very versatile and wearable. This was a total impulse purchase. I passed by the display at Dillard's and decided to swatch and after the sales lady tried it on me with a brush, I could not resist. 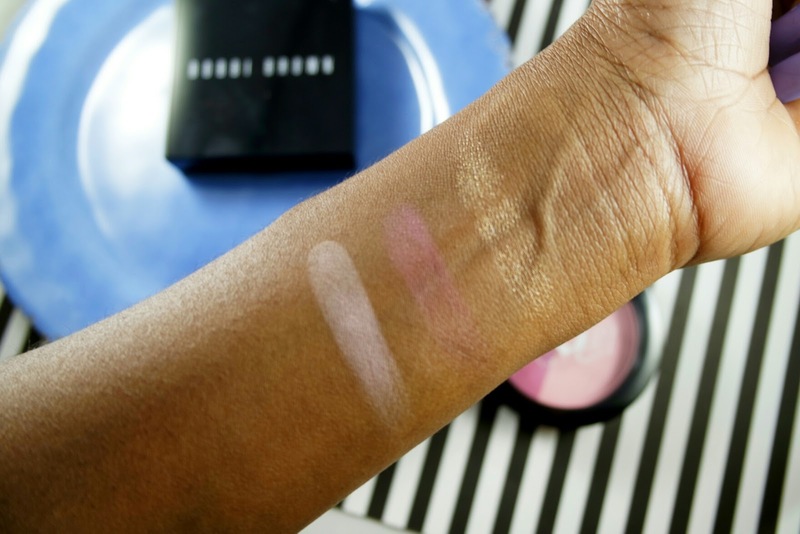 OMG, why didn't you guys tell me Bobbi Brown Highlighters were EVERYTHING. This is glowy without being glitter. The finger swatches do it no justice. It doesn't look that pigmented, but it is absolutely perfect on my skin when sheered out with a brush. I love this stuff already! I picked this up on a whim at TJ Maxx and I already feel a little meh about it. I think that the colors are pretty, but the pay off is way to soft. This was honestly so hard to swatch and had to be really layered on to even get what you see in the picture below. The light color also screams ashy! It has not been used yet, but I think this may be a fail and will probably be going right back to the store (because I have no shame about returning things) or given away. I am going to try it first, but I just read a few reviews and won't get my hopes up. I purchased this as a back up to my original. It was 10 dollars at Nordstrom Rack and a total steal. It is a blood red color and the texture could best be described as a creamy matte. If you haven't tried Urban Decay Lipsticks you are missing out. I cannot wait to get my hands on some of the new Vice Lipsticks, but in the mean time back ups of the old formula works just fine. I also picked up this translucent powder on a whim and OMG I love this. 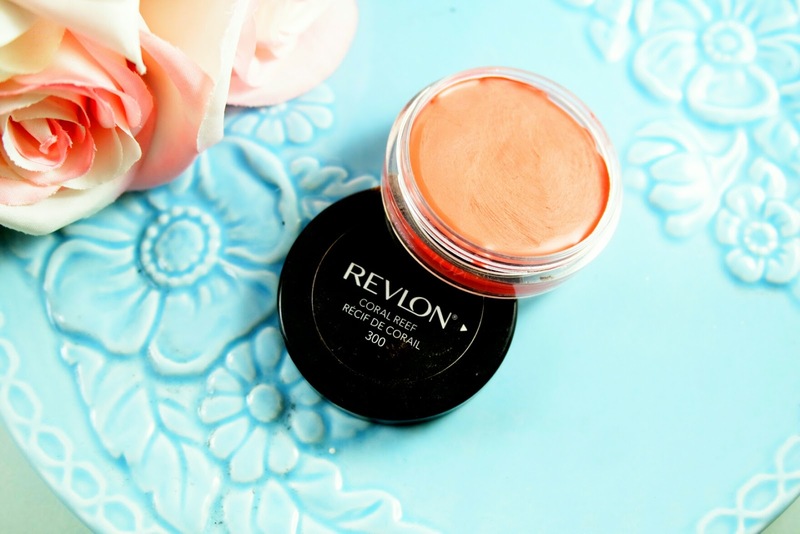 It has a gorgeous finish and is perfect for setting the under eye. When I saw it, I feared it would be ashy on me, but its truly translucent and clear. It also controls oil like no other and is on deck in my purse as we speak. I look forward to doing a full review on this because its actually one of the first Bare Mineral products I've picked up that I have loved. 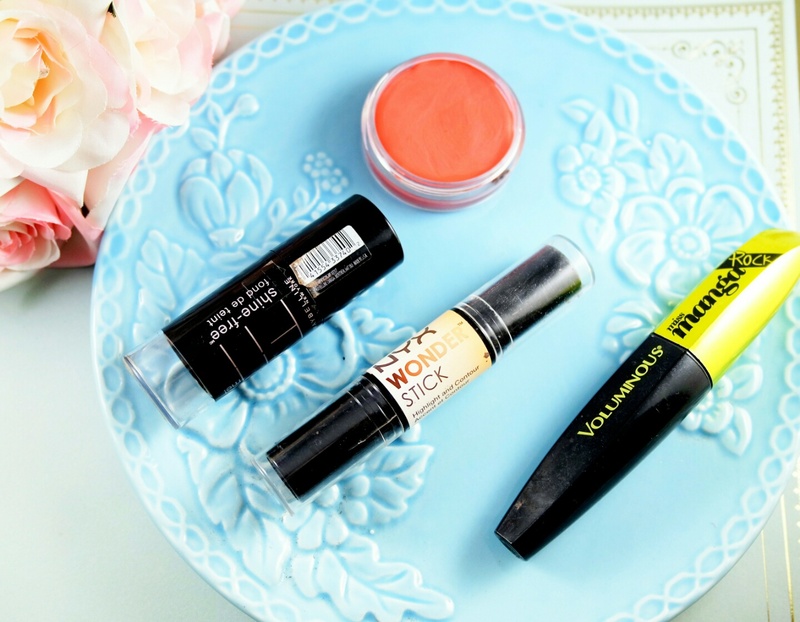 Have you tried out any of these products? Drop me a comment below! Also, let me know what you plan on picking up this fall! I typically don't blog about products I don't like because I am truly savvy about how money is spent when it comes to beauty products. I don't hesitate to return things that don't work for me and I also do a lot of research before I buy almost anything. It's almost like selective experimentation, I love to try new products but I also won't waste my time if something swatches horrible in the store. Samples are also really important to me because it allows me to try new things for little of nothing without shilling out cash for the full size. However there are a few things that slip through the cracks and end up still in my collection. 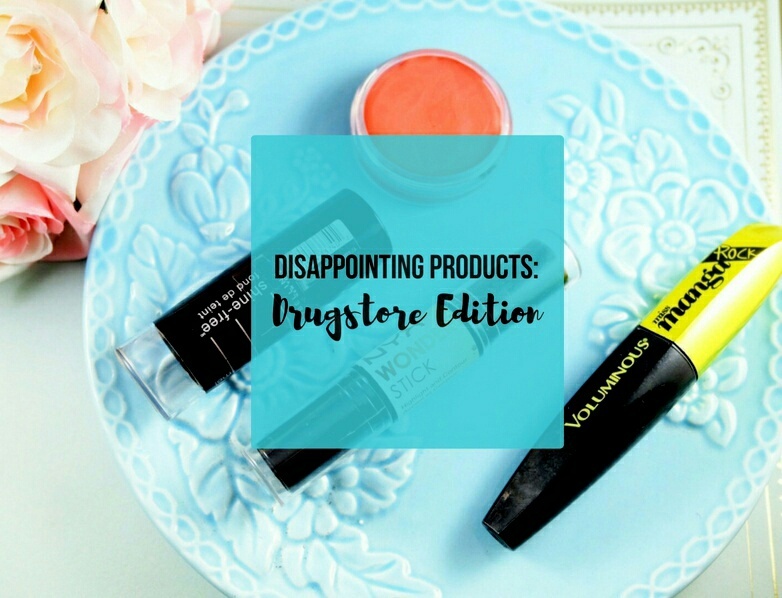 Today, I am going to show you a few of the drugstore products that I hate or was disappointed by. This cream contour duo was not wonderful for me at all. I picked up the darkest shade Deep from the Ulta website in January and I could tell from the first swatch that it wasn't going to be for me. First, in my opinion it wasn't dark enough. The color was only slightly darker then my skin tone and the highlight color ran way too cool toned. The main problem I had with this is the way it blended out. It was hard to blend out and patchy. The highlight side looks AWFUL under the eye and creases even when set with powder. This was just a patchy mess. Nyx is my favorite drugstore brand, but this missed the mark for me. People sing the praises of these palettes, but I HATE them. I ordered these online when they first came out, but disappointment is an understatement. 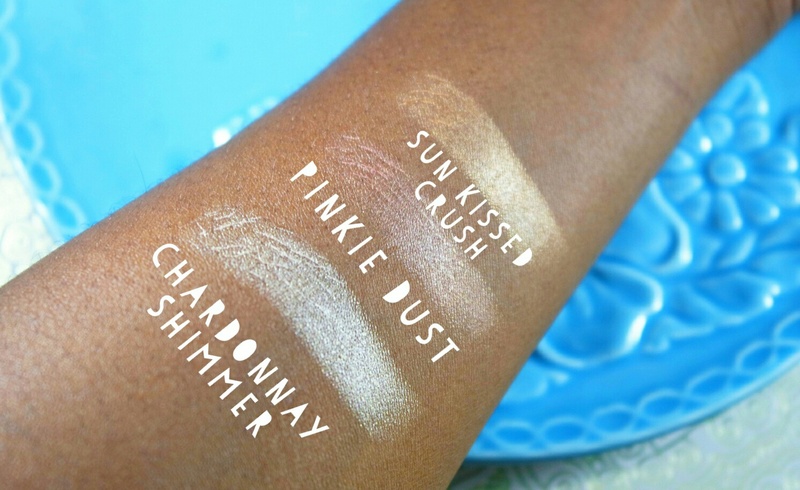 In my opinion, the pigmentation is not up to par as is chalky af. Some of the colors from the warm neutrals no lie did not show up on my skin at all, especially the shimmers. The mattes were decent, but I just expected so much more from this 18 dollar palette. In my opinion, there is nothing Ultimate about these and I couldn't recommend these to anyon. 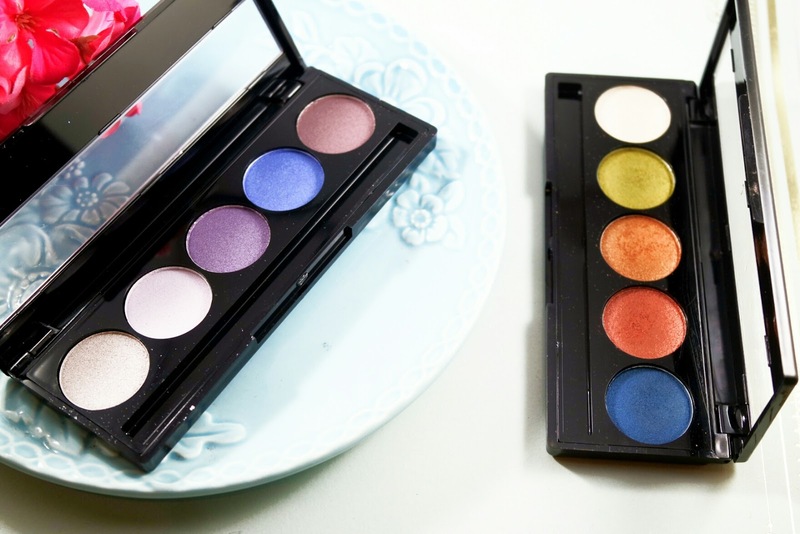 Instead, I think a better product for the same price are the Avant Pop shadow palettes, the quality is much better! Overall L'oreal has awesome mascara. Voluminous and the regular Miss Manga are some of my favorite formulas. So I picked the Rock version up thinking I would really love it, but that turned out to be the farthest from the truth. This is soooo wet! Everytime I go to put this on, I end up with mascara all over my face especially under my lower lashes. The brush on this is also not the best in my opinion. I know this was formulated for the clumpy mascara look, but I absolutely hate this on me. I did a review on these when they first launched and thought that with more use I could possibly grow to love these, but that honestly never happened. Let me preface this by saying that my lips are extra prone to being flaky, but these were so drying on and they look absolutely awful on me. These also have that tacky feel that I just can't with. I know this is a fan favorite...but are a total no go for these dry lips. I hate when something makes bold claims and then fails miserably. I have had this foundation stick for a good minute and I had to stop using it when its hot outside. 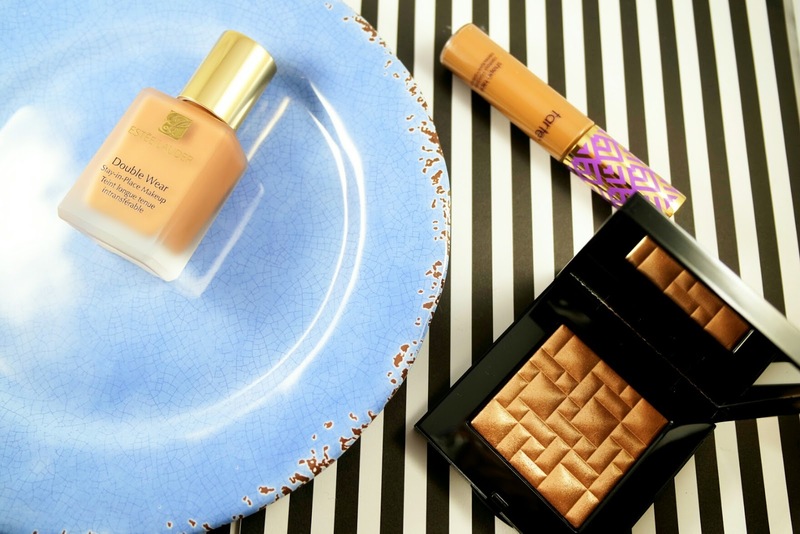 This is a light weight foundation with an anti-shine powder core. I think that it is light weight and gives light to medium buildable coverage, but the oil control portion of this does not work at all for my skin. I always have to blot when I wear this and I typically never have to do this with any shine control product. This is just not my favorite and I would never repurchase. This particular color in this line is discontinued, but this cream blush did not quite hit the mark for me. I did not swatch this in stores and when I did like I literally got nothing. Keep in mind, I am a NW45, but this does not show up on my skin at all. Cream blush has always been a good base for a powder blush or alone as a flush of color, but I don't like this one on me at all. I also have swatched other colors in this line and the color pay off blendability is underwhelming for me. Comment below some of your recent or all time disappointing products! High End Foundation is one of those makeup party that I really didn't get too heavy into until about 5 years ago. Before that, I was a ride or die Revlon Color stay fan. 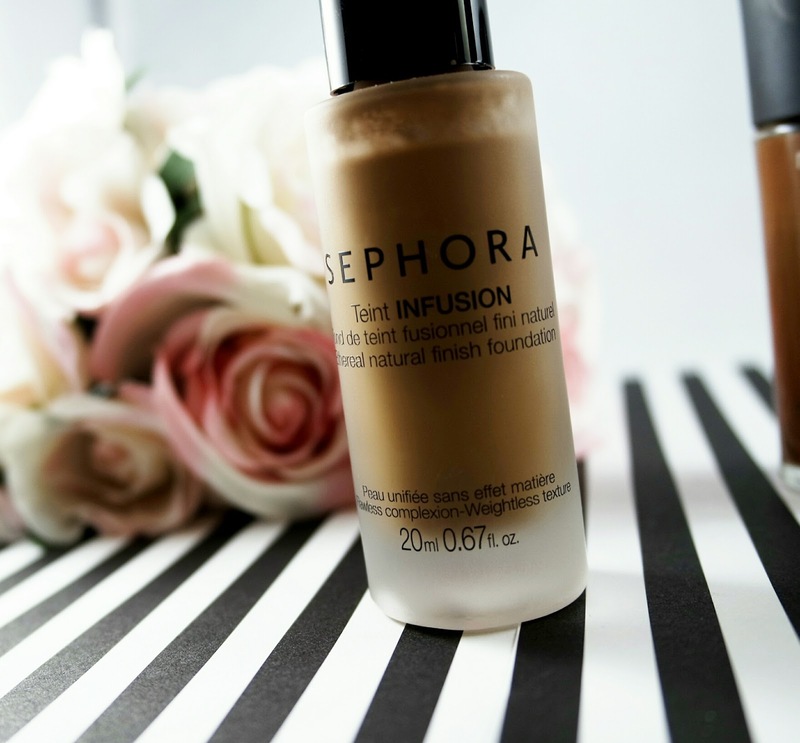 I then ventured into MAC Studio Fix Fluid and fell in love, but over the past couple of years I have ventured out and I want to share some of my go to foundations. This is the most recent foundation purchase that I made. This is one of most beautiful natural finish foundations I have tried in a long time. This foundation is my everyday foundation because its light to medium coverage and is really comfortable on the skin. It has a really thin consistency almost like water, but the finish is sooo pretty. I would not recommend this for people who want to cover up imperfections or need heavy coverage as it does not provide that, but it does give my skin a refreshed skin like glow. Teint Idole is one of those foundations I picked up on a whim after Lupita N'yongo became the spokesperson, but the first time I put this on I fell in love. 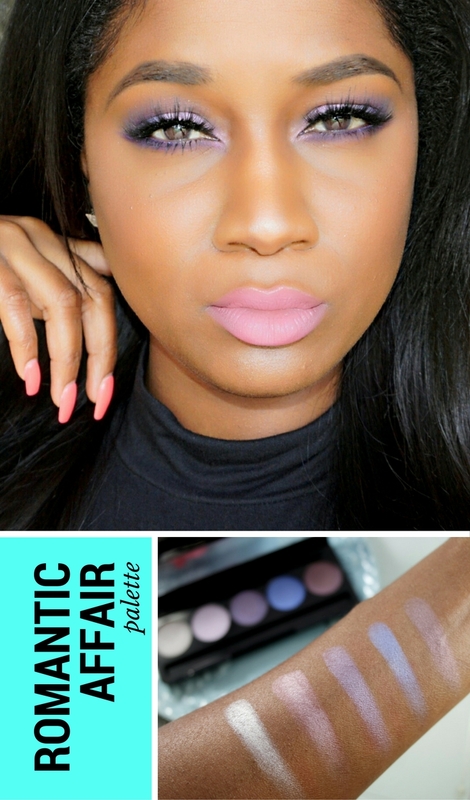 The finish is matte and gives a flawless, yet natural look to the skin. It has buildable lightweight coverage and controls oil. I wear this anytime there is a special occasion and I know i will be photographed. Although I personally would not, this foundation can be worn without powder and still be beautiful. It lasts ALL day without looking cakey or horrible. I am so sad that I broke my most recent bottle, but had to mention this as it is usually always a part of my makeup routine. For application, I like to use a large buffer brush for even application or a damp Beauty Blender to really work the Product into the skin. 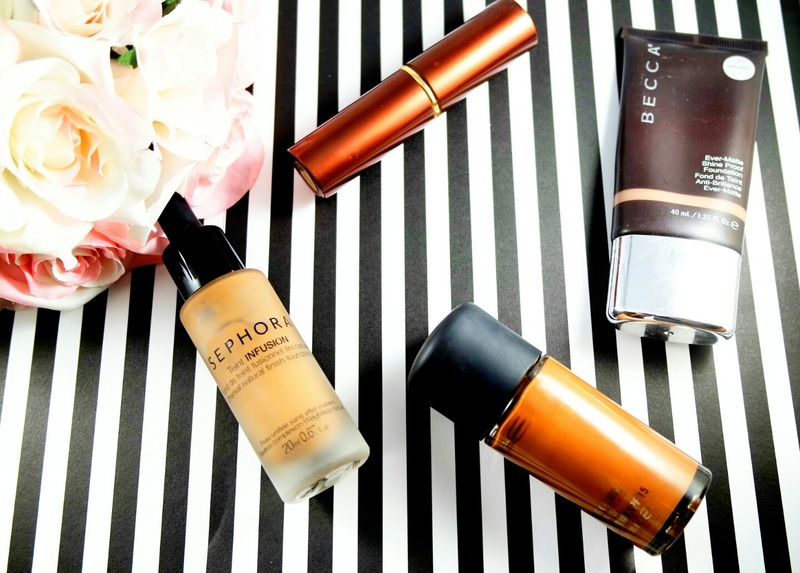 Becca is at the top of the game when it come to complexion products. 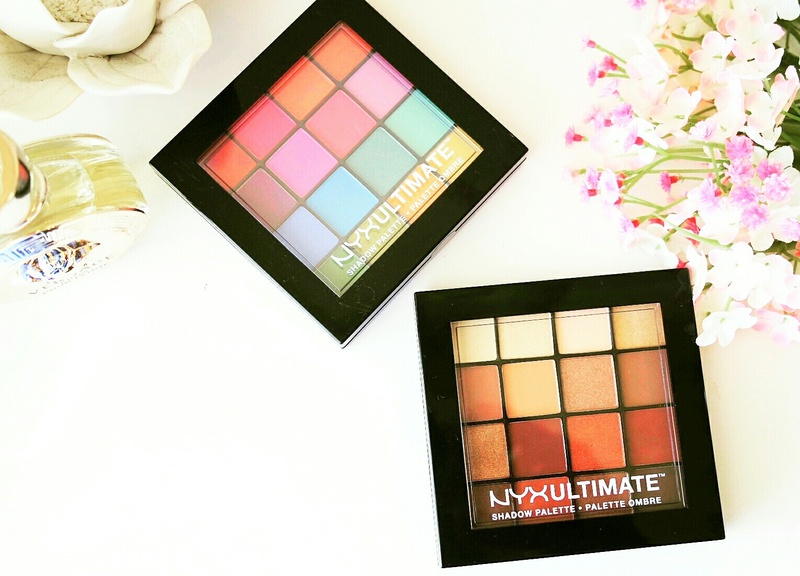 They have awesome formulas and a huge shade range, making it possible for everyone to find the right match. 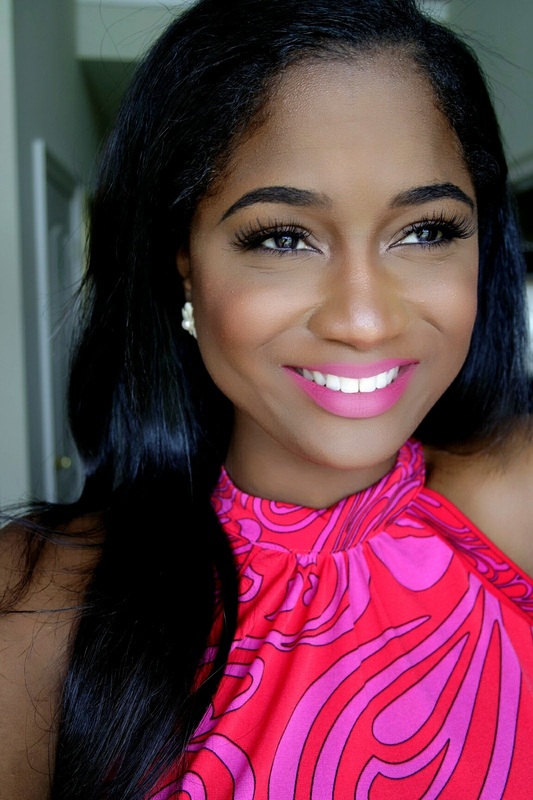 The Ever Matte foundation is specifically made for combination to oily skin and is an excellent oil controller. I have dry skin, but the humidity in NOLA during most of the year is a beast so this is my go to for outside events. It is also supposed to minimize pore and fine lines and this totally does that for me. 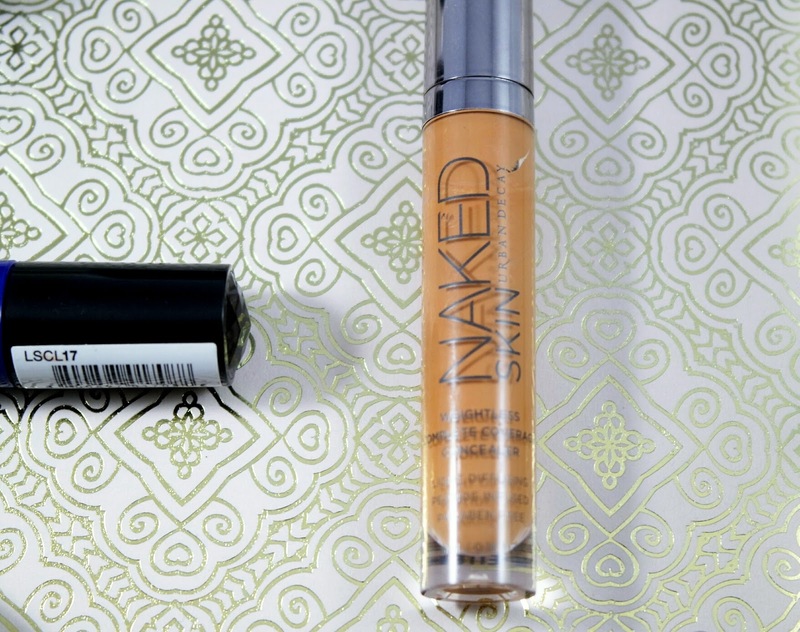 If you have oily skin, but want that perfected full coverage finish, you should try this out. I won't go overboard on how much I love this foundation, but as I mentioned above this is my favorite liquid foundation. It is my go to for when I want to look good. I wear NW45 in the fall and NW47 in the spring and summer and the color match is perfect. I have heard people talk about oxidation on this, but I do not experience that. This foundation offers full coverage without being heavy and also works well with other complexion products. 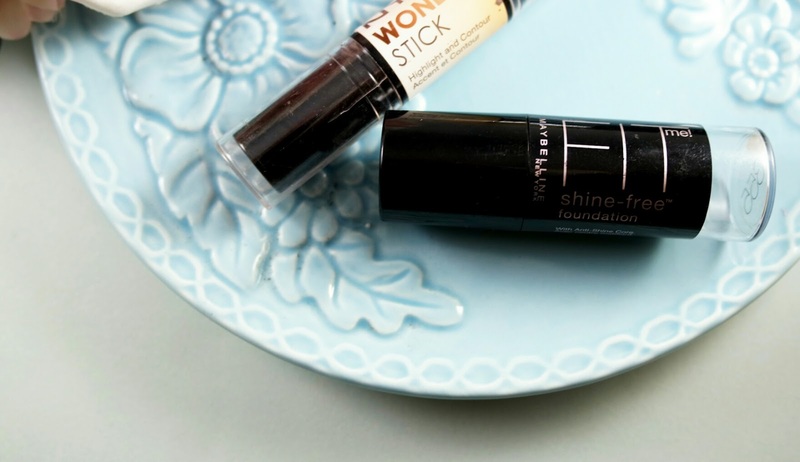 I actually started using Fashion Fair because of my aunt, but I absolutely love this stick foundation. 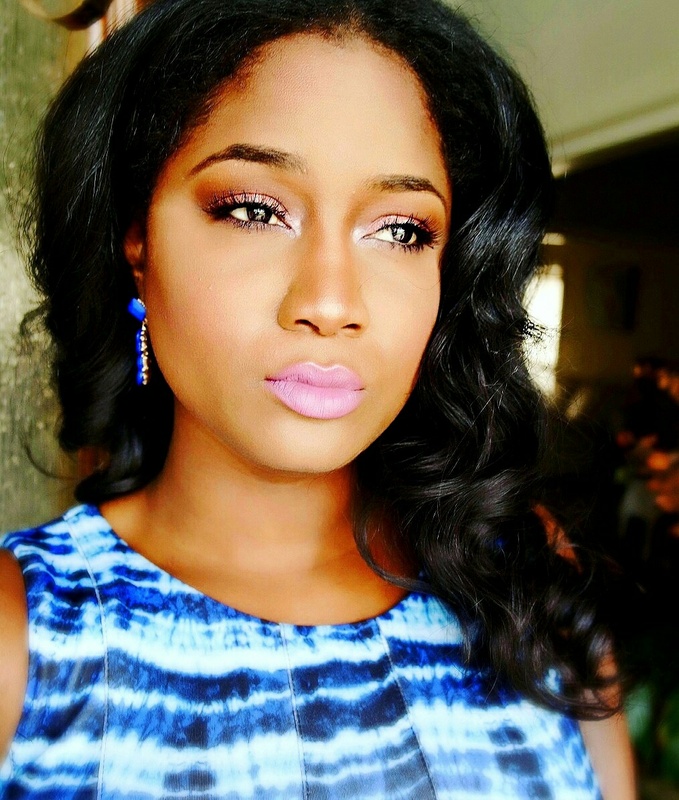 This brand is formulated for women of color and the quality is top notch. It goes on smooth and provides amazing coverage that feels like powder once its on. When I tell you this is full coverage, it is full coverage but the color match is perfect for me as it captures my undertones perfectly. This retails for about 30 dollars, but I buy 2 at a time because it sells out so quickly. 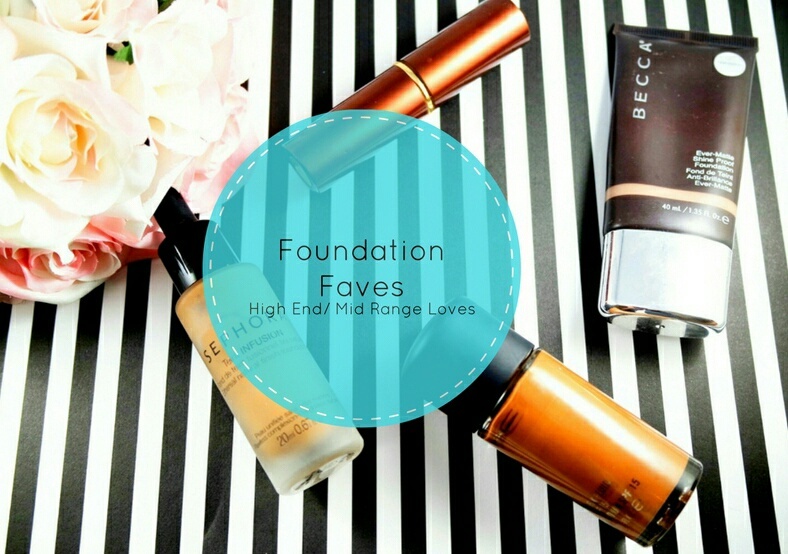 Comment and let me know some of your favorite foundations! Like a lot of people, I often struggle with time management especially in the morning. In the same breath, my job requires me to be at work by 8:30 or like 9 am at the latest so I have to make sure my morning routine is concise especially those days when I wake up late. 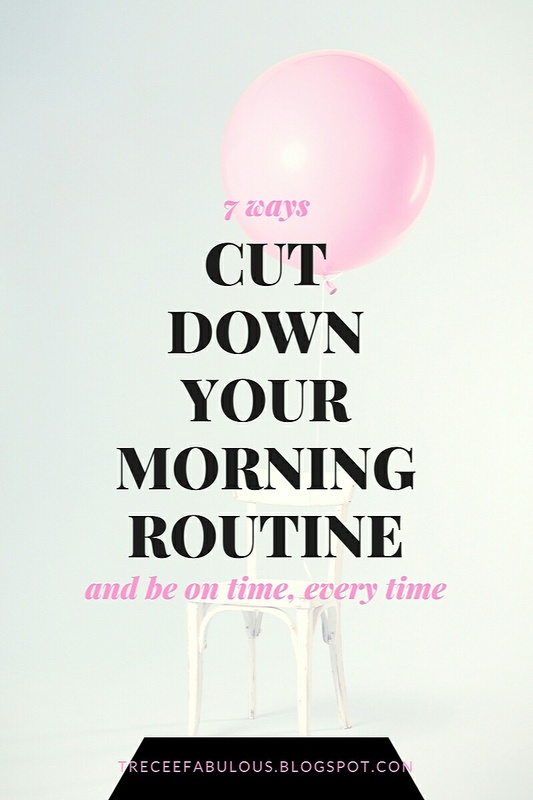 Organization and planning helps a lot with being on time, but the way my life is set up that just doesn't work for so I want to share some of the ways I save time in the morning so that I am never late! Growing up, my mom legit used to make me iron my uniforms (all girl's Catholic school) on Sunday evening for the week. This habit has kind of stuck with me, but not as extreme. I lay out my work clothes the night before, shoes, jewelry and all. That way, I'm not fussing over what I am going to put on or looking for a long lost shoe or something like that. Try this and you will find that your morning will be much smoother. As soon as I wake and drink my water and coffee, I turn on the tv or put on my favorite playlist. I have a routine based on what's on tv, so I can listen to reruns of my fave shows while I get dressed. Listening to my favorite up beat music also wakes me up faster and makes getting ready kind of fun. Speaking of makeup, it also helps to have an organized space dedicated to products that you wear everyday. I lay out my makeup just like I lay out my clothes. If it's on my vanity already, I don't have to waste time searching for things that I know I want to put on my face. For me, breakfast is an essential meal. I have to have a filling breakfast or I will crash by 10 am. I am a big fan of meal prepping and I almost always make my breakfast the night or two before. If I am in a rush, I can just grab from the fridge and heat up when I get to work. I will put a disclaimer that I rarely eat normal breakfast food and usually prepare a vegetable and a protein. I also love boiled eggs because you can make that a few days a head of time and they are full of protein. I used to literally wake up and get on Twitter or Instagram, but I found that this really slows my morning down. 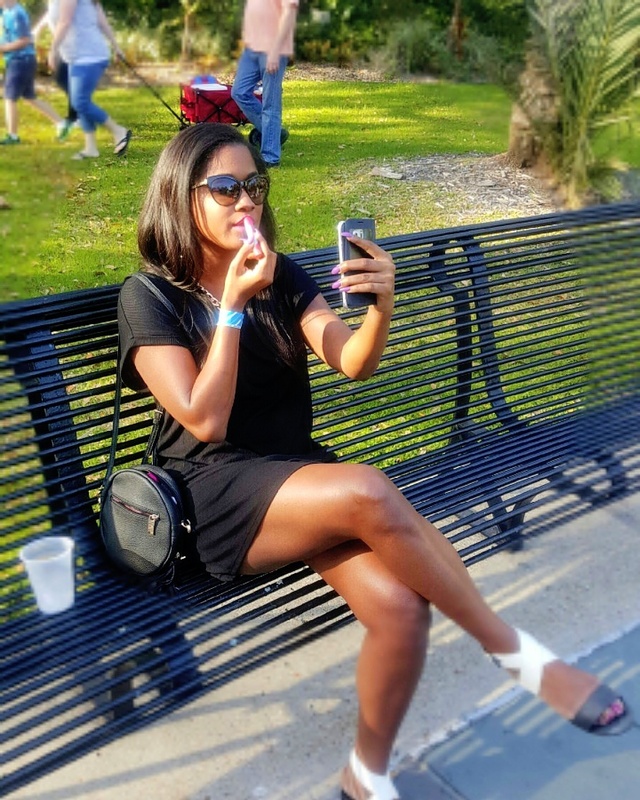 Skipping Social media until you're done getting ready (perhaps waiting until you're eating breakfast) will save you the extra minutes you need to be on time. Let me know some of the ways that you save time in the morning! Sharing is caring, drop me a comment below! 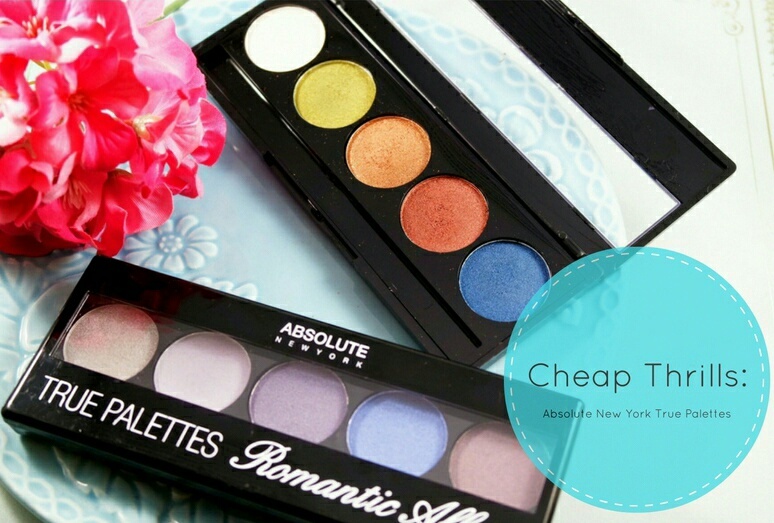 When I am looking to try out a variety of new beauty products without blowing my budget, I always turn to value sets! Value sets are typically little fun samplers of different products usually based on a theme like a particular brand or specific type of item. During the Holidays, there are literally makeup kits and palettes popping up every where, but right now there are still a few worth checking out. Sephora hands down offers the best value sets on the market and today I want to share 3 that you need in your life like today. I can't even lie and say that I haven't been super excited for this kit. 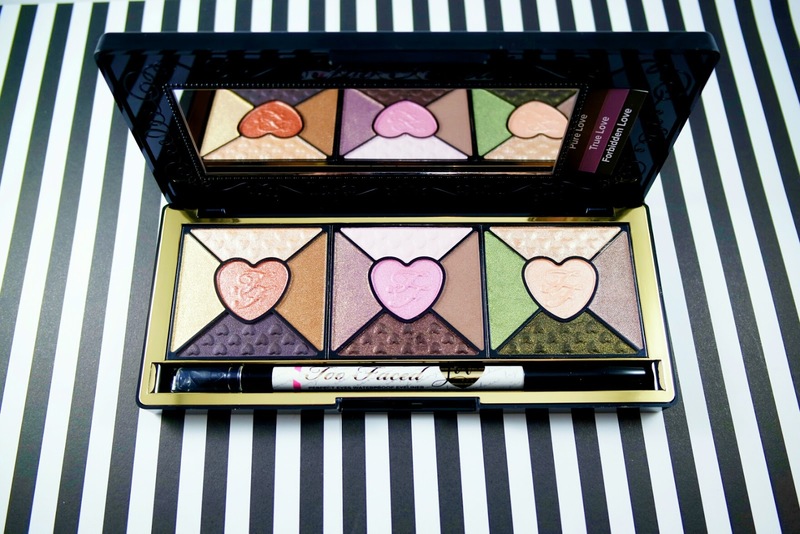 Personally, I love Too Faced and I think that this set is a good buy. 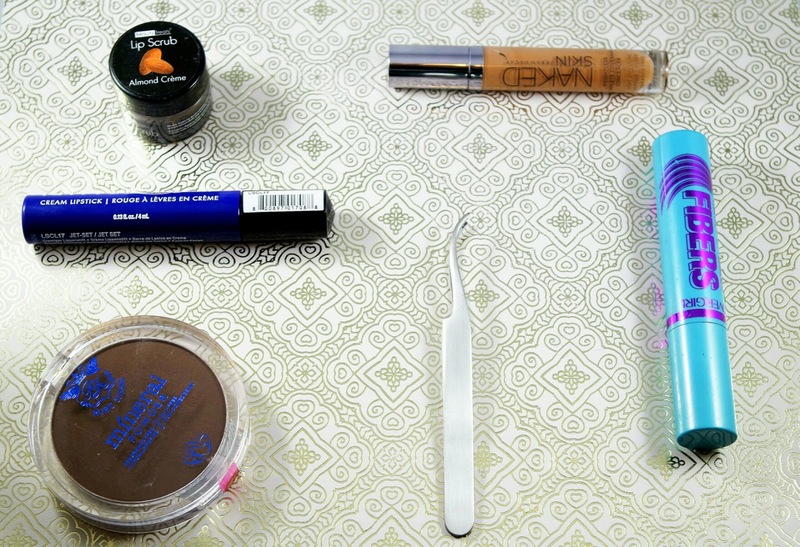 I love that includes not only powder products such as eye shadow and blush, but also purple mascara and a full sized liner. I plan on ordering this kit and would honestly recommend based on the blushes alone! The Loved Flush blushes are amazing and last forever. 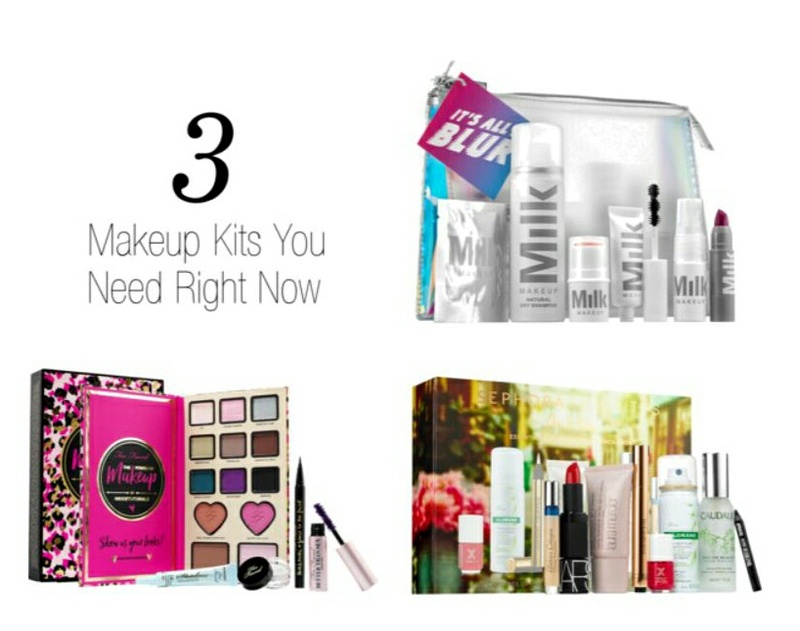 Milk Makeup is a new brand to Sephora that focuses on multi use products that allow you to complete your make up quickly. I must say I love playing in makeup, but during the week I am on the constant go so this really intrigued. The It's All a Blur contains everything you need to get your face on quickly or refresh yourself mid day. I love that this includes a micellar water to help you quickly remove your makeup if you need to. The price of this is also really fair to say you get to try such an array of products. This is perfect for me on the days when I'm not trying to be extra, but still want to be polished and pulled together. 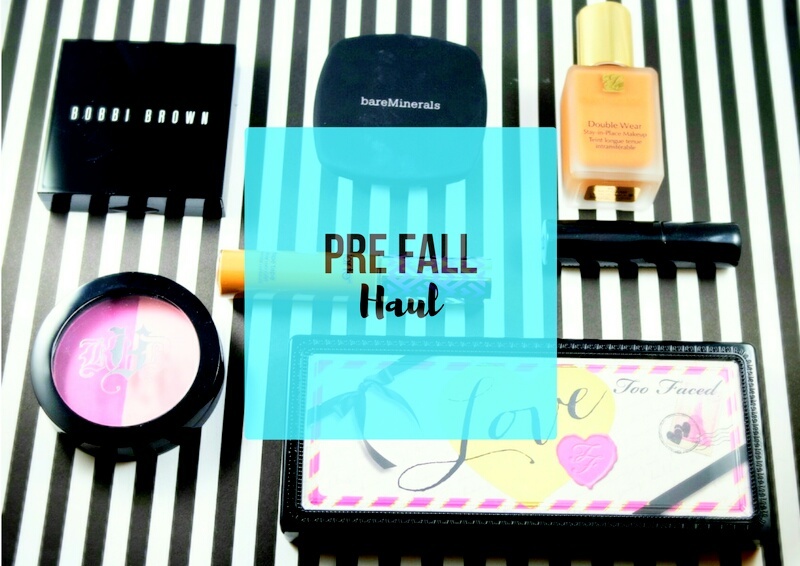 Are there any Makeup Kits that have caught your eye lately? Drop a Comment below!! During the summer, I'm all about that glow! Honestly, I've always been about that glow; fun fact my first ever high end product was a highlighter from Fashion Fair when I was a junior in high school for prom. The other day, I went to Ulta to re up on some skin care products I was running low on and I stumbled upon some new illuminating products on display by Nyx. I like to try new things, so after a quick swatch I decided to pick up three of the Bright Idea Illuminating Sticks. Price: $7.99 for .21 oz. There are 12 shades in the range that include bronze, blush, and highlight shades. I typically stay away from cream highlighters because they tend not to last long on me, but i had no issues with these staying on. 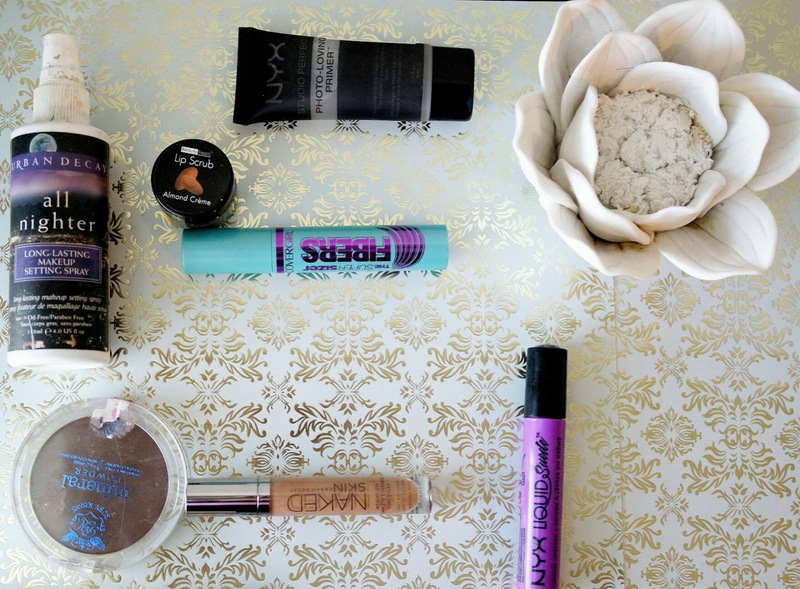 Worn alone or with powder highlight, these lasted all day on my face. 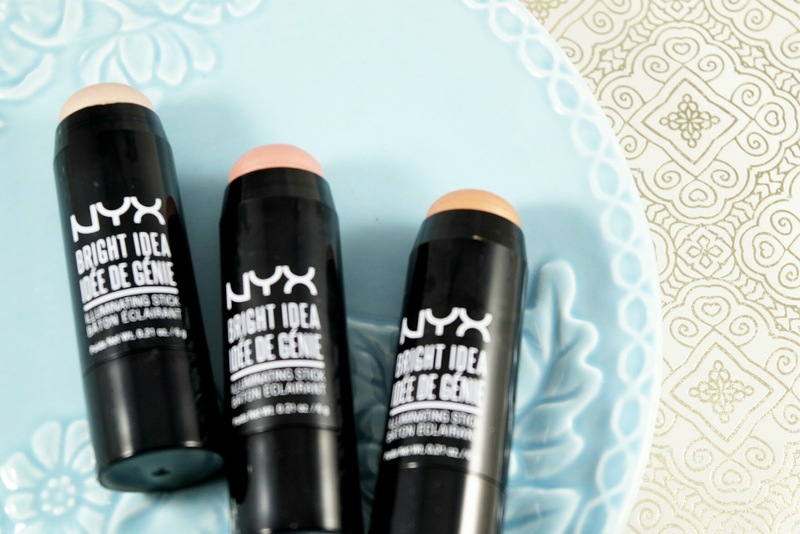 These are super creamy highlighter in stick form. 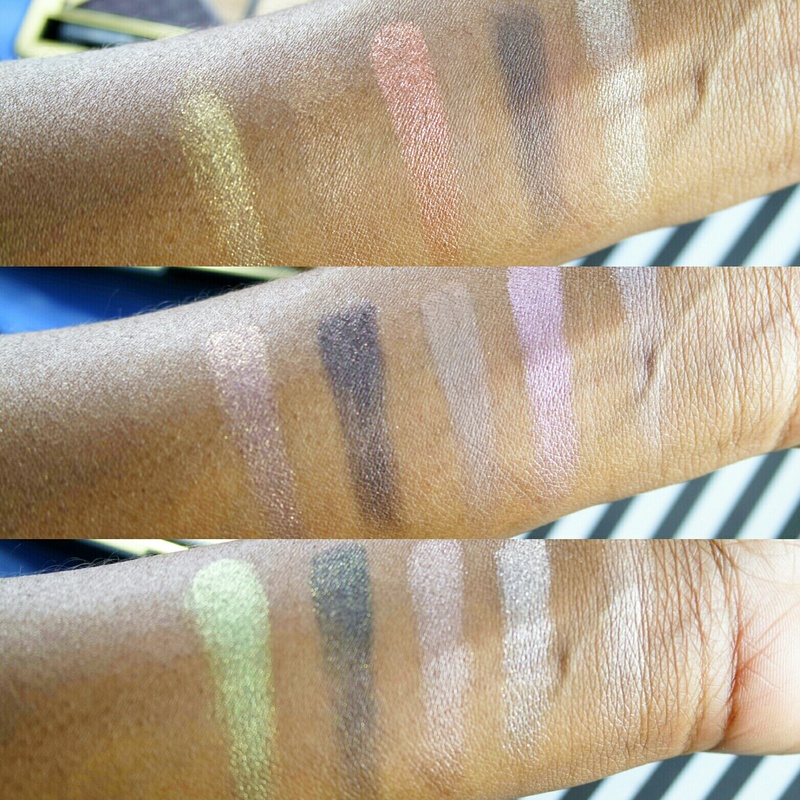 As you can see from the swatches above, these highlighters are super pigmented, but not overly shimmery. There are no glitter chunks in the three that I have whatsoever. 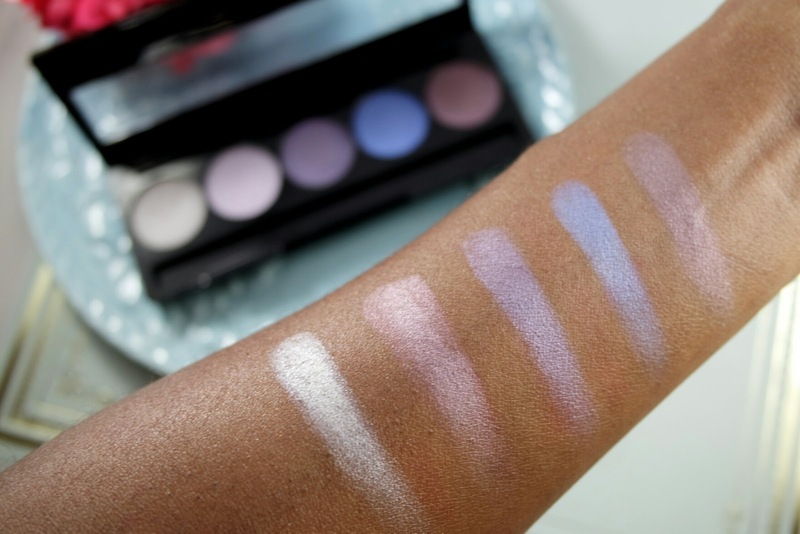 I also love these because I had no problem getting the colors to show on my face and body.In my opinion, this is not a subtle highlight product because of the opacity. You can blend it out but it will still be vibrant. This would make a great addition to your strobing routine. I will insert a pic of me wearing Chardonnay Shimmer from kind of far away so you can see how vibrant it really is!! These blend out on the skin really well and easily. The best method of application for me has been placing it on my skin and blending it out with a small stippling brush.When I used this as a base for my highlight, I put this on my face and blended with my finger and then used a fan brush to apply my highlighter. These babies can also be worn alone or my favorite way as a base for a powder highlighter to give a little something extra when you want a super glowy look. This can also be used on the body. I put this on my decolletage for a night out and it was gorgeous. Overall, this product was win for me. I love the lasting power and vibrance of the colors. They also melt into the skin which is always ideal for highlighter. For me personally, this is a subtle glow product because I can be extra when it comes to highlight, but I think everyone could get some use out of this product! 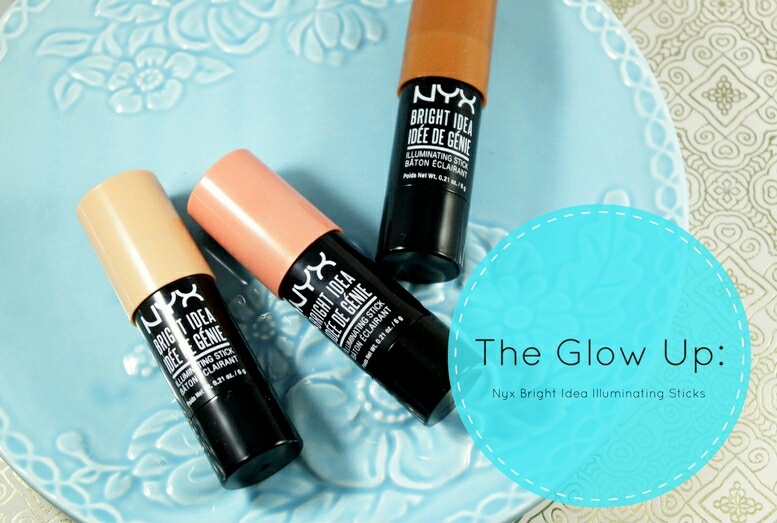 Have you tried the NYX Bright Idea Illuminating Sticks? Drop me a comment below! This has been a life saver for me when I get home and can't bothered to wash my face, but want to remove makeup. I also use this with a q tip to clean up my eye makeup when i'm getting ready. I also love that this is so gentle on my eyes, I tried a micellar water that stung the hell out of my eyes, but this is much more gentle. This has been my O.G setting spray for a while, but for whatever reason I stopped using it. Recently, I put this back in my makeup routine because it has been so hot and my makeup has literally been melting off my face during the day. This is literally the first packaging this came in, but i found a left over bottle and decided to use it and I have not been sorry. 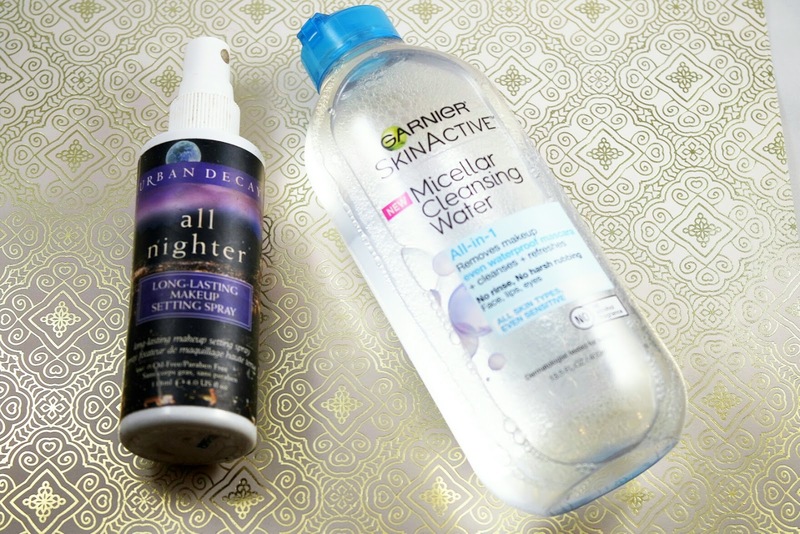 Essential for summer nights so that makeup doesn't melt off. 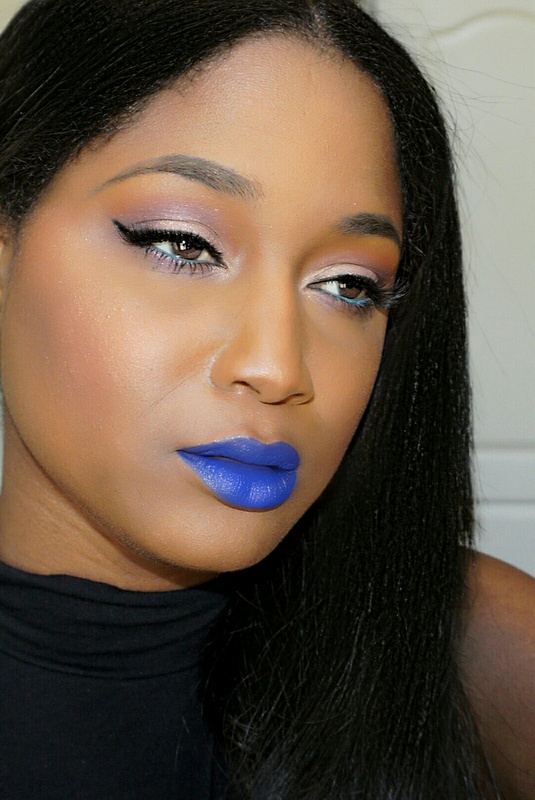 Nyx Liquid Suede Cream Lipstick in "Jet Set"
I never thought I could or would want to pull off a blue lip. Jet set has totally changed my mind. It is the most gorgeous purple toned navy and is actually quite wearable. This has been my go to minimal eye/ bright look lip. I also love the formula of the Liquid Suede lips because although they may not be transfer proof. They are so comfortable and fairly long wearing. 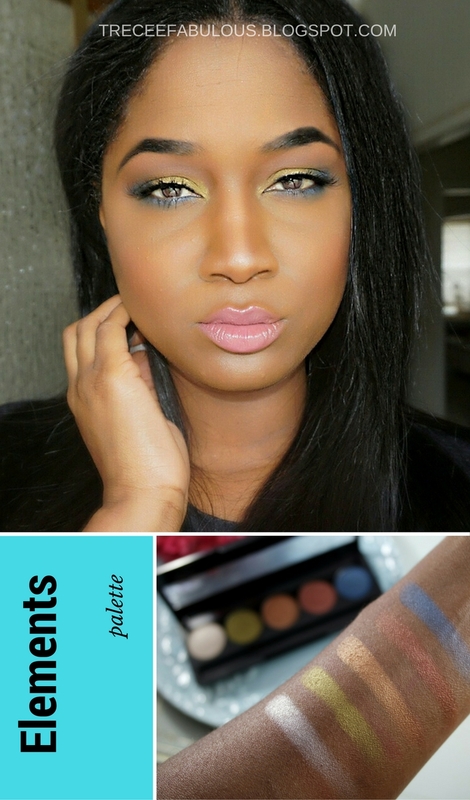 I did a post on some of my favorite colors and a review here. This has been my go to concealer this month. I typically use the It Cosmetics Bye Bye Under Eye but its been hot af and the Urban Decay Concealer feels lighter but still has the same amount of coverage. I have been using this as my go to when I am not wearing foundation but need a little coverage. 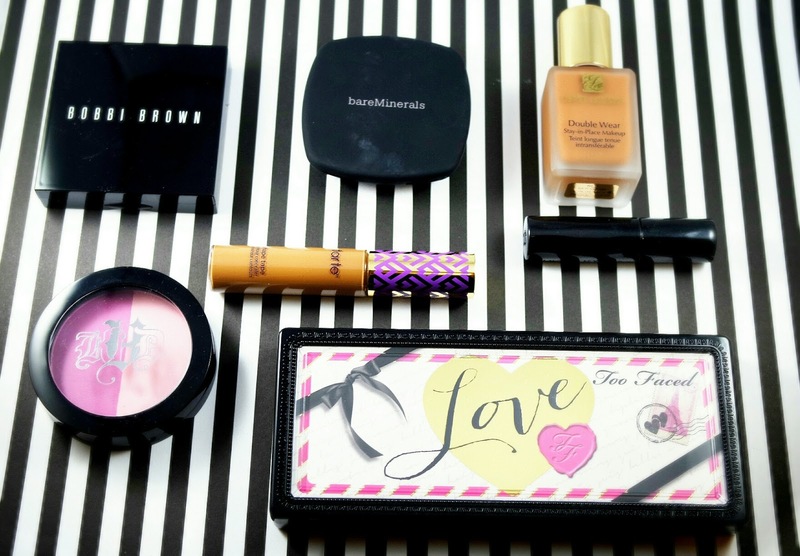 It sets well with my beloved Laura Mercier Translucent powder. I swear no matter how much water I drink and lip balm I apply my lips are always on slight crusty. I picked up this scrub on a whim at a store in my local mall and it has been a heaven sent blessing! This scrub is basically a sugar scrub that smooths out the lips and keep them from flaking through the day. I usually do the scrub about twice a week before I start my makeup and then apply balm while I finish. This is also like 2 bucks so it's definitely a must have. If you can't tell by now, I love my beauty supply store makeup. 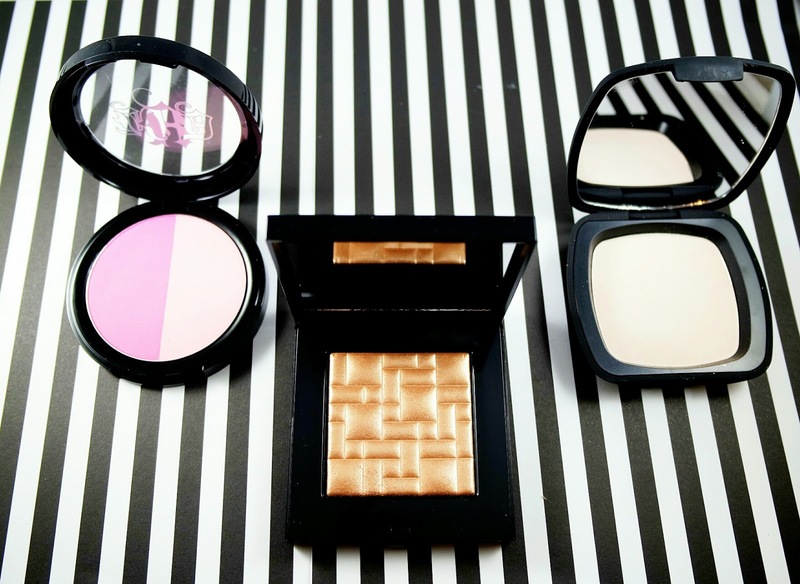 Ruby Kisses has awesome products and I have been using this powder as my every day contour shade. 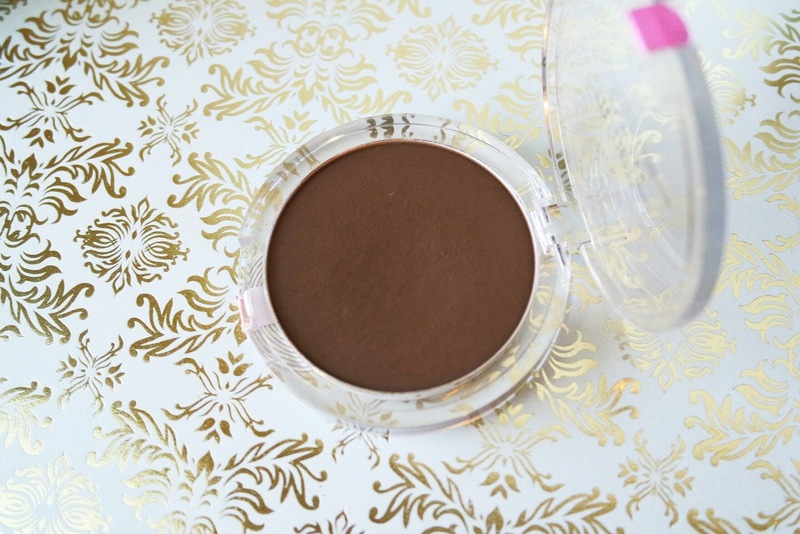 This powder melts into the skin and mimics a natural shadow so well. 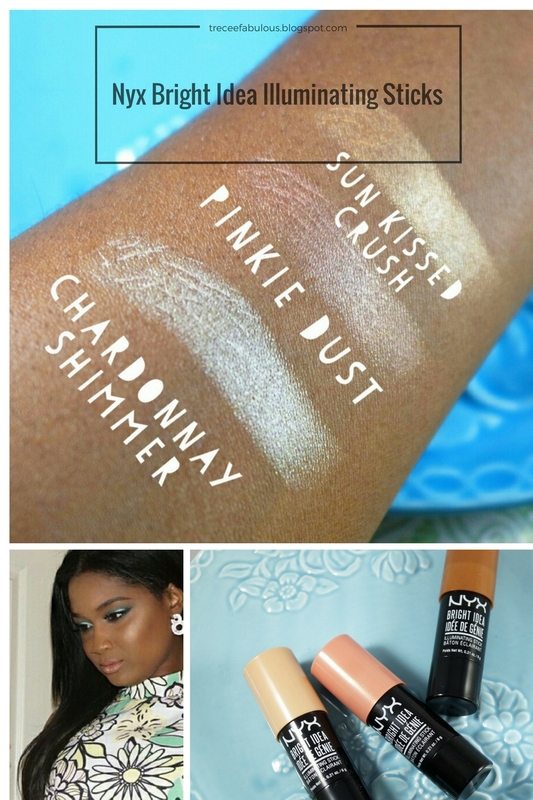 These powder also come in lighter colors, that would definitely work for much fairer skin as a contour shade. Try these out, you will not be disappointed. I actually received this mascara from Influenster and I am so glad they sent it to me. I love this for my bottom lashes. It adds the perfect amount of length and volume. There is also no flaking with this mascara. Literally, I have been wearing this mascara everyday I got it and I will be repurchasing it when I run out of the one they sent me. This little tool has been a game changer for me. I wear falsies like 95% of the time when I wear makeup because I'm extra and I used to apply them with my finger. This lash applicator is like 4 bucks and makes applying lashes much easier. The curve in the top makes it much easy to get the lashes to apply perfectly to the lash line. I loved this so much that I picked up a few for my purse and some to give to my friends who I know struggle with putting lashes on. Summer style is all about simplicity for me. The less I have to put on the better. T-shirt dresses are basically pajamas you can wear outside of the house except you look really cute and casual. I literally have 3 on rotations on the weekends, but the two above are my faves! Boa Feather Slides - I have been obsessed with boa feathers for forever! So when I saw these shoes in a local shoe store I had to have them. They are so adorable and the best part is that they aren't a slipper so you can actually wear them out of the house. I have been pairing these with so many different casual outfits. They are also super affordable, so I will definitely been picking up more colors. 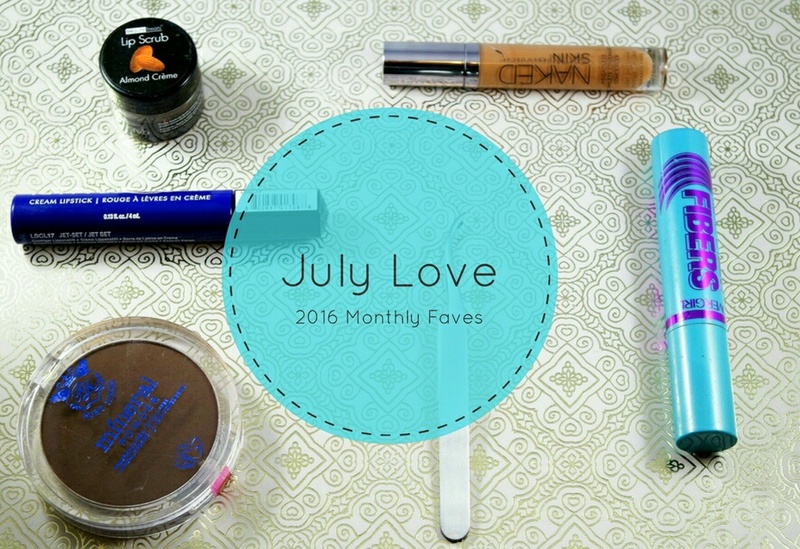 Comment below some of your favorites from July! Like most people these days, online shopping has become a way a life for me. Especially when it comes to getting new, trendy clothes at affordable prices. I work at a desk for about 7 hours a day, so its needless to say that I get a lot of web browsing in. I also hate going to the mall to try on clothes on the weekend, because I literally can't with long lines and large crowds of people. 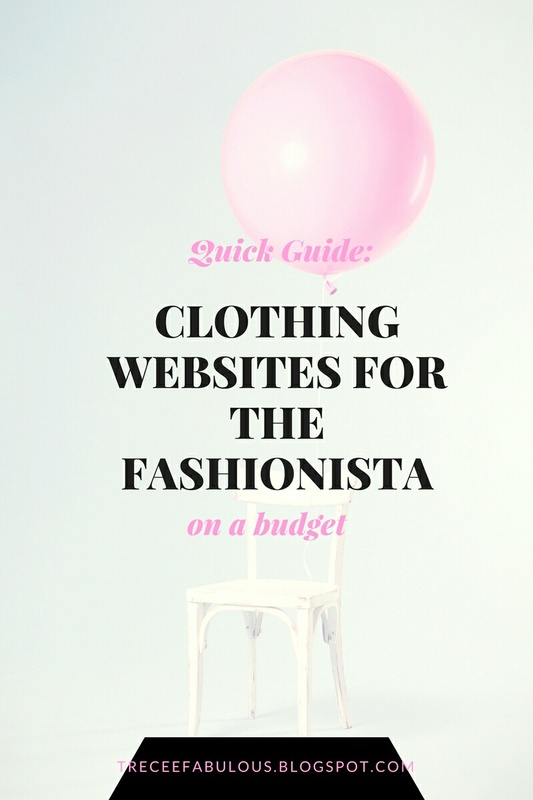 For every day clothes, I like to keep it affordable because trends come and go. I splurge mostly on bags, shoes, and work clothes because I like classic pieces for the office. My street style is also really simple I love dresses and really anything comfortable. Today I want to share some of the places I shop at frequently online. Boohoo always comes through with the sales. 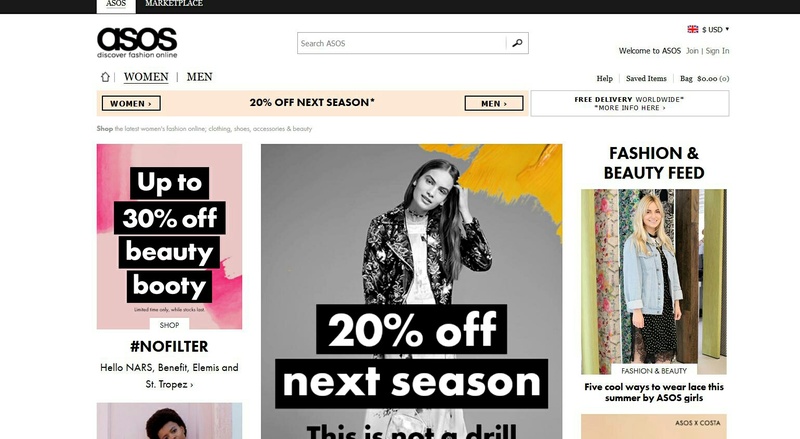 Literally everyday, they offer a new sale and I use this site as a way to try out trendy styles without breaking the bank. They also have really great basics, which to be honest is like a good 70 percent of my wardrobe, because I love simplicity. I love Asos because the selection is so huge. They also offer a ton of brands that I can't find in the US and shipping is always free.99.I love to buy dresses from this site. I also love the quality of the ASOS brand items. They are almost always top notch and making returns if necessary is easy as putting it back in the packaging, sticking on the return label and dropping it off at the post office. It is sometimes hard for me to find denim that fits well in stores as I am slightly bottom heavy. Fashion Nova has the best fitting jeans online. They all fit well and have an adequate amount of stretch. 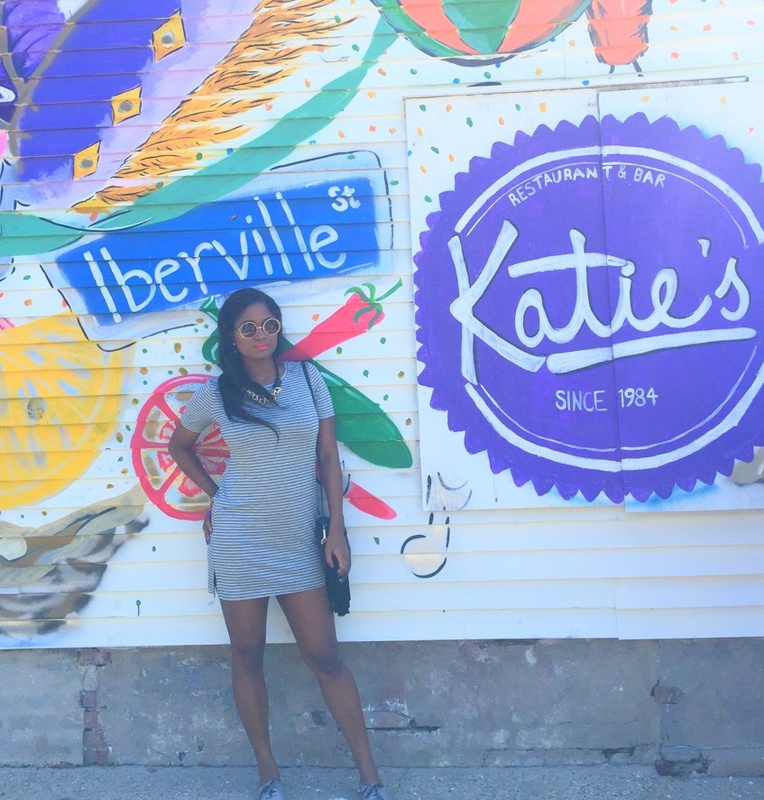 They also have really cool distressed pieces and the perfect two piece sets for vacation. All of my favorite pairs of denim come from this site. The Naked Wardrobe is basics heaven, especially if you love body con styles. This site features the latest trends at affordable prices. 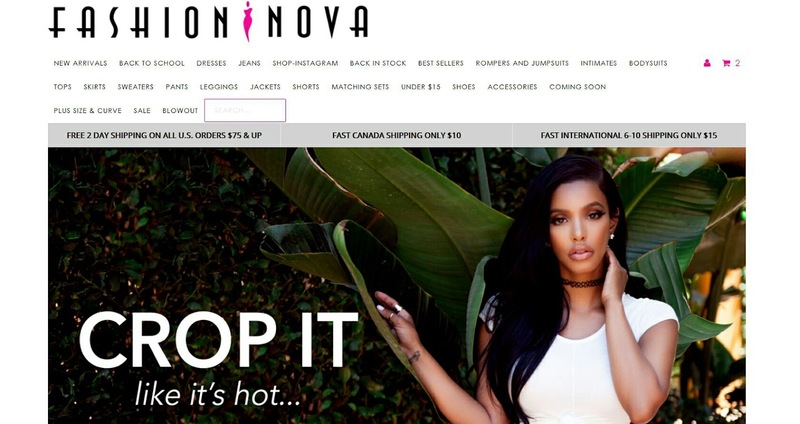 I love the quality of their clothes and I typically pick up items like bodysuits and shirts to pair with other items like pants, skirts and jeans. Comment below some of your favorite online shopping spots.